Myles Craig is the Operations Manager and Chief Range Safety Officer (CRSO) for Governors Gun Club. He is an NRA certified CRSO along with a Level II Range Officer with the Civilian Marksmanship Program (CMP). Myles comes from a safety background via the airlines. He was the General Manager of Delta Air Lines Inc.’s Corporate Safety Department specifically handling the safe handling of Hazardous Materials in Transport. Myles also owned his own business packaging Hazardous Materials for transport, training and consulting for Fortune 100 companies. Myles is a certified Hazardous Materials Transport instructor for all modes of transport and has been instructing for many years. He can take very complex training materials and present them in fun and relaxed method. Myles’ approach to firearm training is to ensure students understand the needed skills to safely use firearms, the fundamentals of marksmanship, and the responsibility of firearm ownership. 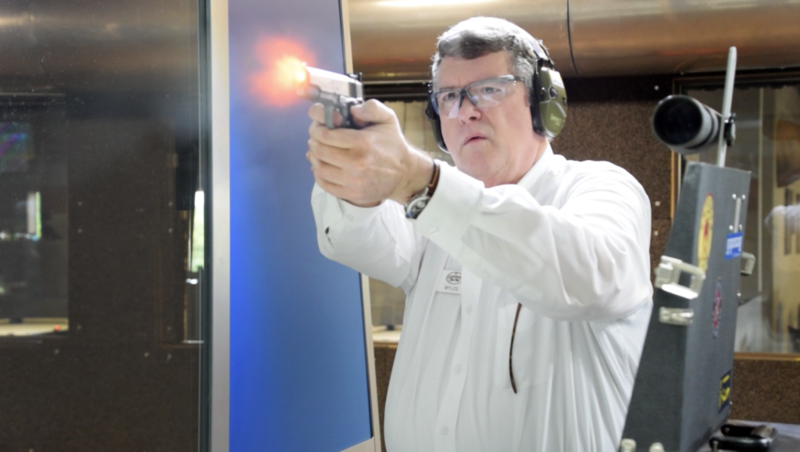 As a competitive shooter, Myles competed in International Air Piston and Small-Bore Pistol. This competition background allows his students to learn the fundamentals of marksmanship in a fun and educational way. Students leave the course hitting the X on the target and wanting to learn more.